Let’s face it: Windows no longer dominates the tech world. In fact, only one in five devices is Windows. Currently, 80% of laptops, desktops, mobile phones, and servers are all non-Windows devices. That creates some interesting problems for IT organizations. Most of the tools that they have to help manage and secure their environments were designed for Windows. This new era of heterogeneous environments requires a modern generation of tools to secure and manage those devices. 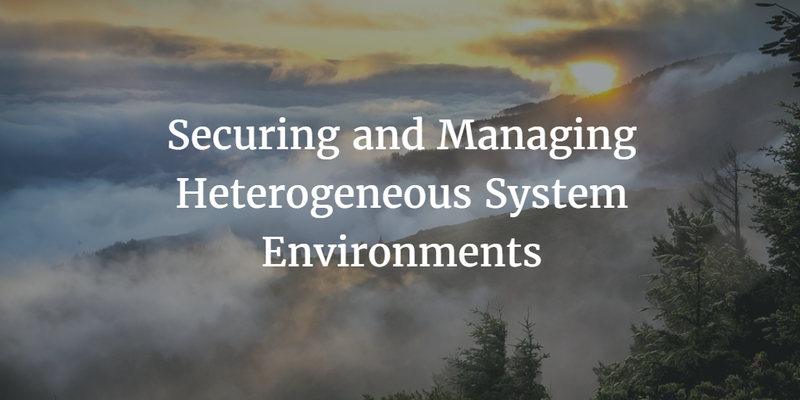 In the future, platforms that secure and manage heterogeneous system environments will be the norm, not the exception. Over the past decade, IT organizations have shifted from a predominantly Windows environment to a mixed-platform environment. There are a number of reasons for this shift, including the consumerization of IT, BYOD policies, cloud-based infrastructure, and an increasingly mobile workforce. Apple and Linux have benefited significantly from this shift away from Microsoft. While Apple Macs are highly coveted devices, Linux is the current king of the data center. Despite that shift, many IT organizations are still leveraging Windows-based management and security solutions. One of the ways that IT has managed legacy networks is through Microsoft Active Directory and their Group Policy Objects functionality. Historically, AD has played the role of the central directory service. 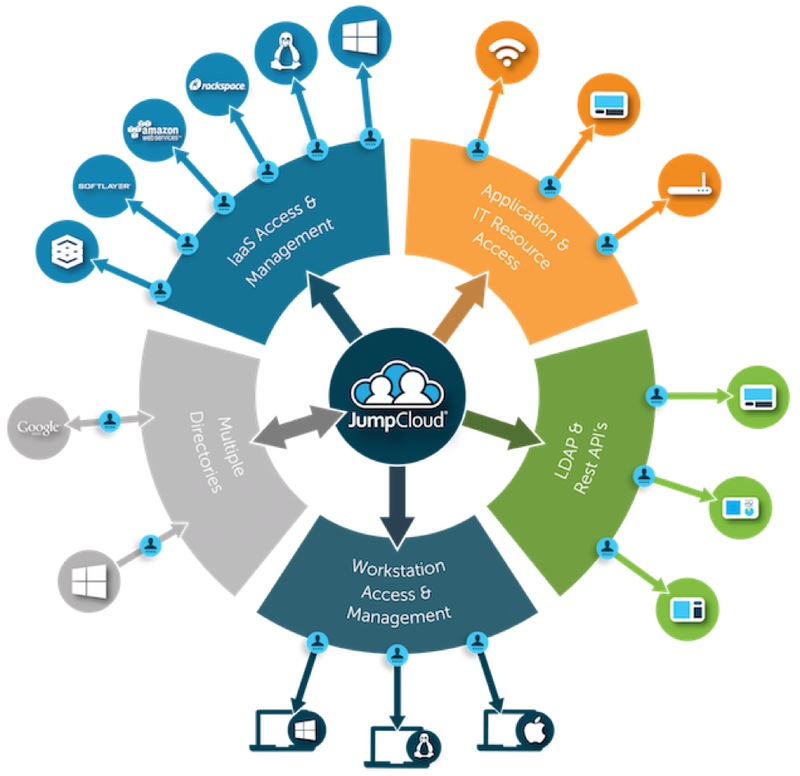 Over time, AD has also become a device management solution. IT organizations set policies, execute tasks, and generally manage their Windows systems through GPOs. Unfortunately, that isn’t entirely possible with Mac and Linux devices. While Mac and Linux devices can authenticate to AD, deep user management is difficult to do. In addition, there are no provisions for running GPOs on Mac or Linux machines. Consider this: what once was managing 90%+ of your infrastructure is now managing less than 20%. A new solution called Directory-as-a-Service is replacing the legacy AD platform. As a modern, cloud-based directory service, DaaS from JumpCloud® authenticates, authorizes, and manages access and devices. User management is natively cross-platform, meaning that each platform gets first-class billing. Users are added, deleted, and modified using native APIs rather than proxy systems or workarounds. And, perhaps as importantly, JumpCloud’s device management capabilities effectively create a cross-platform GPO-like capability. IT admins can run and execute policies and tasks on all three major platforms. These policies and tasks are quite varied: password complexity, screensaver timing, enforcing full disk encryption, and much more. In fact, IT admins can leverage any scripting language to create custom tasks via JumpCloud’s command runner functionality. If you would like to secure and manage heterogeneous system environments, give JumpCloud’s cloud-based directory and system management platform a look. You’ll be surprised at how easy it is to manage a mixed-platform environment. Contact us with any questions or feedback.